There is a future without death that was made possible by the personal sacrifice of Jesus Himself, who permanently gave up His former life as a non-human, transcendent member of the Trinity, to become a physical human being with flesh, blood and bone. He came to personally take upon Himself the judgment and penalty for all of mankind's transgressions against God so that those who wish to be forgiven of their part in humanity's transgressions could accept Jesus' death as a "balance transfer" so that their own personal sins would be punished at the cross, and Jesus' personal righteousness would be imputed to them in exchange. He exchanged our sins for His righteousness and then He bought our freedom from death and decay with His own blood. 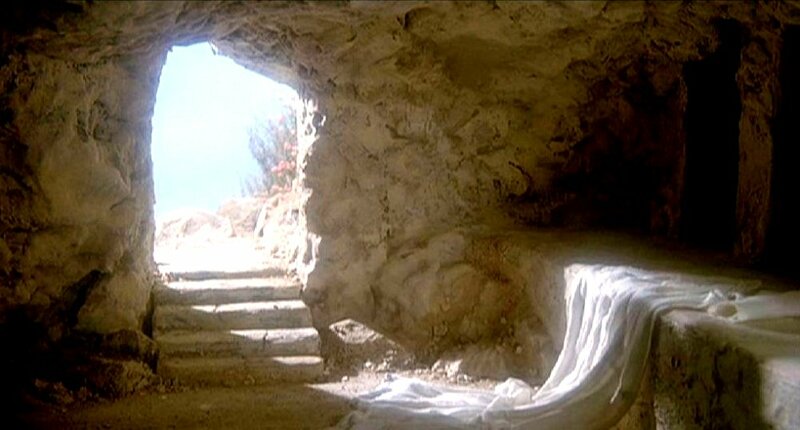 Jesus paid that debt in full and then after suffering the most brutal death in recorded earth history, He got up and walked out of His grave three days later as if nothing had happened. This is the bottom line of Christianity. It's how we became members of God's family and it's the ultimate destiny of every one of us who've been adopted into it. When death comes to someone we know and love, all we can feel is the fact that, "They're gone!" Despite what we know from Scripture, despite everything we've been promised, we're just not prepared. There's a good reason for this. It says in Ecclesiastes 3:11 that God has implanted "eternity" in the hearts of humanity. So even though we live in temporary dwellings, we still think of everything in life from an eternal perspective. Even though we know everyone dies, we can't imagine our lives without the people we love. Even when we think we've prepared ourselves, when it finally happens, we realize we just aren't prepared. No matter how much we know about death both physically and Biblically, we still live with a perspective of "eternity" which is why interruptions in our linear time-line always catch us off guard whether it's the loss of a job, the sudden betrayal of a close friend, an unexpected automobile accident, news of terminal cancer, or the death of a loved one. We all know these things exist in our world, but it always catches us off guard as if "it could never happen to us". That's because deep inside we know that death and loss, while part of life, weren't meant to be part of life. We also know they won't always be part of life, but they still are now, which gets in the way of eternity. That's what Romans 8:20-23 is talking about when it speaks of us groaning inwardly for eternity through every moment of pain because we're wanting the curse of death and sin to get out of the way, finally, once and for all. We want what's promised to start now with all of us together, no sin, no death, no disease, no negativity, no pain, no striving, nothing but the good forever and together. That day is coming. But until it gets here, we hurt when someone we love dies. We don't hurt for them, we hurt for ourselves because now we have to pick up the pieces of our life without them as we push onward with our temporal lives on this decaying planet, which even now we continue to get glimpses of God's glory and eternity, but with the interference of death and decay. I think it's important to note that when Jesus said He was going away to prepare a place for us, He was speaking to a group of people who were standing in front of Him in the flesh. They weren't reading what Jesus had said from a passage in the Scripture, Jesus was standing there in the flesh, right in front of them when He said He was going away to prepare a place for them. So they didn't think Jesus was talking about preparing a place for the souls of the dead. Jesus hadn't died yet and no one Jesus was speaking with had died. So they interpreted His promise as a literal promise to go up into Heaven, prepare a place for them, and then come right back down to pick them up and take them there. Before Jesus had this conversation, His followers were expecting Him to fulfill all of the Old Testament's prophecies as well. It was foretold that He would tread down the wicked, establish an earthly Kingdom bringing in universal peace, not only between peoples and nations but even among all the animals. This coming kingdom was promised by God to King David to be a Jewish Kingdom. God is always good on His promises and those to whom Jesus was speaking were expecting Jesus to keep these promises during His first coming. But in the famous passage from John 14:1-3 that I just quoted above, He has introduced to them something new... that before He fulfills those long awaited prophecies, He's got an errand to run. The 1st part of the errand was going to the Cross. The 2nd part of the errand was rising from the dead. The 3rd part of the errand was doing exactly what He said He would do, to go to Heaven and prepare a place for them and then He would come back and pick them up. These folks got to see Jesus go to the cross, rise from the grave and then ascend up to Heaven to go do exactly what He said He went to do. So then after He left, some time went by. As the years progressed, they continued expecting Jesus to return and pick them up, just as He promised. While they were waiting and anticipating the Lord's return during the years that progressed, some of them died. So the Thessalonian Christians became upset that their departed loved ones would miss out on the exciting event of the Lord's return. That's when Paul reassured them in 1st Thessalonians 4:13-18 and 1st Corinthians 15:51-52 which explained to them how God would fulfill His promise to both those who have died and those who remained on the earth. All of us are born wearing 1st generation hardware. We live with it all our lives. When we become reborn in the Holy Spirit, our software is fused with the software of the Holy Spirit, making us a new creation. But we remain in our 1st generation hardware until it wears out and dies. When our 1st Generation hardware dies, our software is immediately uploaded into 2nd generation hardware in Heaven. Our place in Heaven is the place that Jesus spoke of in John 14:1-3. Our 2nd Generation hardware is a spiritual body. How it moves and works is not something I fully understand, except to say that whenever it was seen by human eyes as recorded in Scripture, these spiritual bodies looked just like normal human bodies except they could only exist in the domain of Heaven. These Spiritual bodies do not function on the earth, they can only function in Heaven. "I wouldn't want you to be ignorant, brothers, about those who have died in Christ, that you do not grieve for them in the same way that others do who have no hope beyond the grave. For since we believe that Jesus died and rose again, we know also that those who have died in Christ will God bring with Him. For this we say to you by the Word of the Lord, that we which are alive and remain until the coming of the Lord will not precede those who have died. For the Lord Himself shall descend from Heaven with a shout (calling everyone by name), with the voice of the archangel (calling every guardian angel by name), and with the sound of the trump of God (declaring victory): and the dead in Christ (coming with Jesus in 2nd Generation hardware) will rise first (being given their resurrection body) and then we which are alive and remain on the earth, still wearing our old 1st Generation hardware, will be caught up together with them in the clouds, to meet the Lord in the air: and so shall we ever be with the Lord. Therefore, comfort each other with these words." "For behold, I show you a mystery which was hidden before. Not every Christian will have to die first to get their final upgrade. But every Christian both in Heaven and on Earth will be upgraded. In a moment, in the twinkling of an eye, at the last trump: for the trumpet of victory shall sound and those who have previously died will be raised into their new physical bodies while we who haven't died will be changed into our new physical bodies. This is the bottom line for Christians, the blessed hope of the believer! Death is no longer death!! Thanks to what Jesus did for us 2000 years ago, we can know with assurance that when our loved ones die, they are merely being upgraded into superior hardware for a new environment. But as awesome as that is, what's really awesome is the fact that we will receive that same upgrade when we die, or possibly........ WE MIGHT NOT HAVE TO WAIT THAT LONG. It is the blessed hope of the Christian that we shall not all sleep, but in a moment, in the twinkling of an eye, we will hear the Lord Jesus shout our name out loud accompanied with the music blast of God's trumpet and we will instantly find ourselves in 3rd Generation hardware with abilities and powers transcending both physical and spiritual dimensions for which immediately after this moment, we will join in progress THE FAMILY REUNION TO END ALL FAMILY REUNIONS!!! My Aunt Tina, Aunt Jane, Uncle Walter, my Nannie, my Papaw, Grandparents and Great-Grandparents, several teachers and neighbors from my childhood, countless pets and animals are presently in Heaven today, right now as I type this post. One day, we will all be with them. "And so shall we ever be with the Lord." AMEN AND AMEN!!! Contend, O Lord, with those who contend with us; fight against those who fight against us! Stand up for our help! Close up and block off the way of those who pursue and persecute us. Say to us, "I AM your deliverance!" Let them be put to shame and dishonor who seek and require our lives; let them be turned back and confounded who plan our hurt! Let them be as chaff before the wind, as you Lord drive them on. Let their way be through dark and slippery places, as you Lord pursue and afflict them. For without cause, they have hidden for us their net; without cause, they have dug a pit of destruction for our very lives. Let that same destruction befall our enemies unaware; let the net they have hidden for us catch them. Then we shall be joyful in the Lord, we shall rejoice in Your deliverance and all of our bones shall say, "Lord, who is like You, You Who deliver the poor and the afflicted from those who are too powerful?" Malicious and unrighteous witnesses rise up; they ask us of things that we do not know. They reward us evil for good to our personal bereavement. But as for us, when they were sick, when they were troubled, we hurt for them and prayed for them. We behaved as if grieving for friends and family members. We bowed down in sorrow, as one who bewails his mother. But in our stumbling and limping, they rejoice and gather together against us; they slander and revile us, and we don't even know them; they cease not to slander and revile us. Day in and day out, they rage! Like profane mockers at feasts, they gnash at us with their teeth. How long, O Lord, will You look on without action? Silence them! Rescue our lives from their destructions, and our dearest precious lives from these blood-thirsty lions! We will give You thanks in great assembly; we will praise You among a mighty throng. Let not those who are wrongfully our foes rejoice over us; neither let them wink with their eye who hate us without cause. For they do not speak peace, but they devise deceitful matters against those who are quiet in the land. Yes, they open their mouths wide against us; and they say, "AHA!! AHA!! Our eyes have seen what you did!!" You have seen this, O Lord our God; don't be silent! Don't be far from us! Arouse Yourself and awaken to the justice that is long overdue, even to our righteous cause. Judge them and vindicate us according to Your righteousness and let not our foes rejoice over us! Let them not say in their hearts, "Aha, that is what we wanted! We have swallowed them up and utterly destroyed them." Instead, let THEM be put to shame and confusion together who rejoice at our calamity! Let THEM be clothed with shame and dishonor who magnify and exalt themselves over YOU and over us! Let those who favor our righteous cause and who have pleasure in our uprightness shout for joy and be glad and say continually, "Let the Lord be magnified, Who takes pleasure in the prosperity of His servants and His children." And our lips shall speak of Your righteousness and justice, and of our reasons for Your praise all the day long. Hear our prayer, O Lord, give ear to our supplications! In Your faithfulness answer us, and in Your righteousness. Do not enter into judgment with Your servants, for in Your sight no one living is in themselves righteous or justified. All of us have contributed in some way to our nation's sins. All of us have gone astray in one way or another. But we remembered your promise in 2nd Chronicles 7:14. For many years now, a remnant of us who are called by Your Name, we have humbled ourselves, we have prayed, we have sought Your face, and we have turned from our wicked ways; so that You would hear from heaven, You would forgive our sin, and You would heal our land. So please hear our prayer, O Lord, give ear to our supplications! In Your faithfulness answer us, and in Your righteousness. For the enemy has pursued and persecuted our souls and the very soul of this nation, he has crushed our lives down to the ground; he has made us to dwell in dark places as those who have been long dead. Therefore is our spirit overwhelmed and faint within us. Wrapped in gloom, our heart deep within our chest grows numb. We remember the days of old when we used to follow You as a nation; we meditate on all You have done for us throughout the centuries, despite our sins and shortcomings, we see where You have remained faithful even when we were unfaithful, we ponder the work of Your hands. We spread forth our hands to You; our soul and the soul of this nation thirsts after You like a desperate thirsty land for water. Answer us quickly, O Lord, for our spirit fails; hide not Your face from us, lest we become like those who sink down into the grave. Cause us to hear Your loving-kindness in the morning, for on You do we lean and in You do we trust. Cause us to know the path we should take and the way we should walk, for we lift up our inner selves to You. Deliver us, O Lord, from our enemies, both physical and spiritual; we flee to You to hide us. Teach us to do Your will, for You are our God; let Your good Spirit lead us into a level country and into the land of uprightness. Save us, O Lord, for Your name’s sake; in Your righteousness, bring us out of trouble and free us from distress. And in Your mercy and loving-kindness, cut off our enemies and destroy all those who afflict us, for we are not only Your servants, but we are Your adopted sons and daughters, purchased and redeemed by the blood of the Lamb. Jesus overheard a debate between his disciples about who among them would be greatest in the Kingdom of Heaven. So Jesus sat down a little child next to him to use as a visual aid to represent the child of God and then proceeded to give a lecture on (1) how to get into the Kingdom, (2) how to be great in the Kingdom and (3) how to receive the King's favor. Regarding greatness, he explained that it's the humility of our heart before God as our Father that makes us truly great. We examine what this means and unravel how Jesus defined true greatness in the Kingdom of Heaven. I love this nurse and I can't BELIEVE this is ACTUALLY going on right under our noses. I knew it was bad, but I had no idea it was THIS bad. Here's a link to the article that she references in the video. Things have escalated in the past 10 years or more to a degree that I never thought I would see in my lifetime. There has been so much deception and evil that I can't possibly keep up with it all fast enough to digest it and place it in its proper context for a blog post. It's also become a conundrum having to decide what my listeners and readers can handle and what they can't handle. 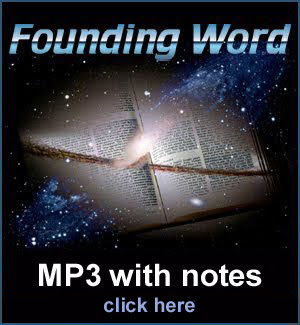 Too many Christians today live in a Walt Disney G-rated version of Christianity and bringing them up to speed has always been a burden of my heart, but I don't know how much longer I can take them into consideration with where I believe the Lord is taking this blog and Founding Word. All of us have to deal with various types of immovable mountains in our path that are huge and intimidating. They're too high for us to climb over, they're too big to go around and too thick to tunnel through. These mountains can be circumstantial, emotional, financial, physical or even demonic. Jesus said that just the faith of a mustard seed could enable us to remove mountains and nothing would be impossible for us. He also said that the ingredients to building that kind of faith required prayer and fasting but what does that mean? It's not what you think. In this session, we set aside some special time to address specifically the kind of faith that moves mountains, how to get that faith, what prayer and fasting is REALLY all about and then we examine various types of mountains and how God removes them. As I'm sure that most of you already know, the state of New York has passed an act that legalized the abortion of a child all the way up to the moment of labor and even after birth. What's worse, is that when this act was passed and announced, it got a standing ovation in the New York state Senate. Other states in the nation are planning to follow their lead. Propaganda is an amazing tool. It has the power to alter perceptions at every level. It can take an obvious fact of reality and change it to look like something completely different than what it actually is. This is exactly what's been done with the subject of abortion. Without the aid of politics or propaganda, abortion is simply a procedure in which a living and growing child within a mother's womb is cut up and ripped out limb by limb while it kicks and squirms and bleeds. That's all it is. No politics interjected, no Christian dogma, those are simply the facts. That's what an abortion is. Despite the obvious simplicity of reality, the subject of abortion has been politically propagandized into an issue of privacy and vital necessity to protect women from rapists and evil men. Those who oppose abortion might as well be the rapists themselves. Those who haven't been brainwashed by this propaganda are the subjects of mainstream political hatred and persecution. Good is called evil and evil is called good. If memory serves, I believe God pronounced woes against those who do that in Isaiah 5:20. Abortion is an issue that has been used to manufacture an emotional disdain for those who love and follow God. The procedure itself has also been used to supply the needed innocent blood for pagan and satanic rituals. If you don't believe me, find out where professed satanists work. Find out more about who really works at Planned Parenthood and other abortion clinics. It's amazing how schizophrenic the definition of morality has become in the last decade or so. We live in a culture today in which minorly offensive words spoken out loud or typed online have become justifiable reasons for the wiping out of one's entire online identity, for the termination of one's job and even for public harassment and physical violence. Meanwhile, the same group of people who are such rigid followers of all that is appropriate, will stand up and defend the murders of more than 60 million children since 1973. What we have allowed and endured in this nation in the name of a woman's right to choose makes the Nazi holocaust look like a picnic. I'm sick and tired of this satanic demonic crowd of killers telling the rest of us how to talk as if like Sunday school teachers, they feel we need educating as to what words are and are not appropriate to use... all while they defend and promote infanticide. I'm sick of it. People who defend the ritualistic blood sacrifice of human babies haven't the right to lecture anyone else about what is and isn't offensive. 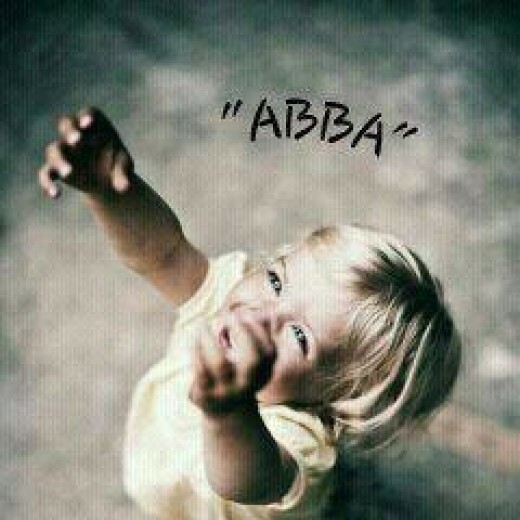 "When you raise your hands in prayer, I will hide my eyes from you. Yes, even though you say many prayers, I will not listen to you for your hands are covered in blood." Many Christians are justifiably concerned over how God may respond to our nation in this recent turn of events. It's also a subject of scholastic debate. The Scripture gives us examples of how God deals with kings and kingdoms. The United States, however, isn't a kingdom. We're a nation of the people. We don't have a king or a body of rulers per say, we actually govern ourselves through a democratically elected body of representatives. If what's taking place in government is an accurate representation of what we the people in the land really want, then WE THE PEOPLE are due for judgment. If, however, what's taking place is the result of propaganda, deception and an over-bloated government that's overstepping its constitutional authority, then what we're REALLY talking about is a demonically driven dictatorship in progress that needs to be defeated. I don’t think our nation is lost. I think however we are seeing the beginning of the end. I believe the evil that used to stay covered and do it’s dirty business in the darkness is now stepping out in boldness and showing itself. I see good and evil dividing up a firm line between us. When I tell people this I give the example of the Stephen King novel “The Stand”. I believe it isn’t too late. I also believe that the body of Christ must step out even more boldly. 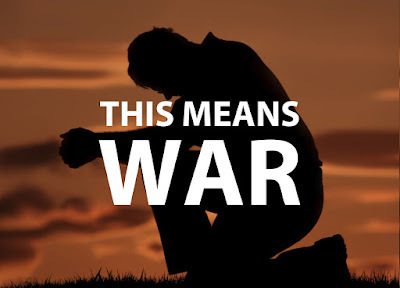 We have an opportunity through facebook & other social platforms to unite in prayer against this war on the innocent, to cover the innocent and those that disagree with what the government of that state is doing. What I want to know Joshua P. Allem, is it wrong to pray that New York be brought to its knees, to suffer some sort of catastrophic event as an example of God's grief at what is happening there? Can we step out in prayer and ask for judgment on that state? Should we? I agree with everything you said, however, rather than praying for judgment against New York (since not everyone in New York agrees with what happened), I would pray (and have been praying) the prayer of Psalm 35 and similar Psalms in which the righteous of the land are praying for God to intervene and fight against the wicked in the land. What we're praying for is God's healing of our land. The first step for us Christians is to acknowledge and repent of OUR sins first. (2nd Chronicles 7:14) Once that's done, then we can ask God to deal with the wicked in the land. There's also a factor of mass deception. There are actually a lot of good people out there who are badly, horribly deceived. So what I've been doing is praying two prayers, first that God would reveal the truth to those who've been deceived and convict them HARD so that they would agree with HIS position on things rather than whatever CNN tells them. Then as for the rest of us, I pray the prayer of Psalm 35 because it perfectly fits what we need to be praying for. I take that prayer every day and replace the words "me" with whatever or whoever needs the prayer, whether it's righteous leaders, or just the Christians throughout the land. Psalm 35 is a prayer for God to personally fight against those who fight against us, so that covers both physical and spiritual enemies. It also covers those who plan and plot against those "who are quiet in the land" and I believe that covers both unborn babies as well as righteous Christians who just don't know what to do or say about what's going on. Most Christians keep their mouths shut. Most of us don't like making waves and stirring things up. We just prefer to let the wicked be wicked and just let God deal with them in His own way in His own timing. The prayer of Psalm 35 indicates, however, that those who are quiet in the land are the target of impending destruction by hateful enemies and the one praying the prayer knows this to be the case!! That's why he's praying!! So whether it's Christians who are awake and know what's going on, or Christians who are asleep, they're both the target of plots and schemes by hate-filled foes "who do not seek peace" according to that Psalm. So yes, I don't see a problem with praying for God's justice, so long as we first pray and deal with our sin first, because a lot of us have contributed to this nation's sin in one form or another. I'm one of them. I had to deal with that first. That's what 2nd Chronicles 7:14 is all about. But once that's done, Psalm 35 turns the Lord Jesus Himself loose over the wicked in the land. Yes. I would also like to add that Psalm 143 is another good prayer to pray in addition to this. 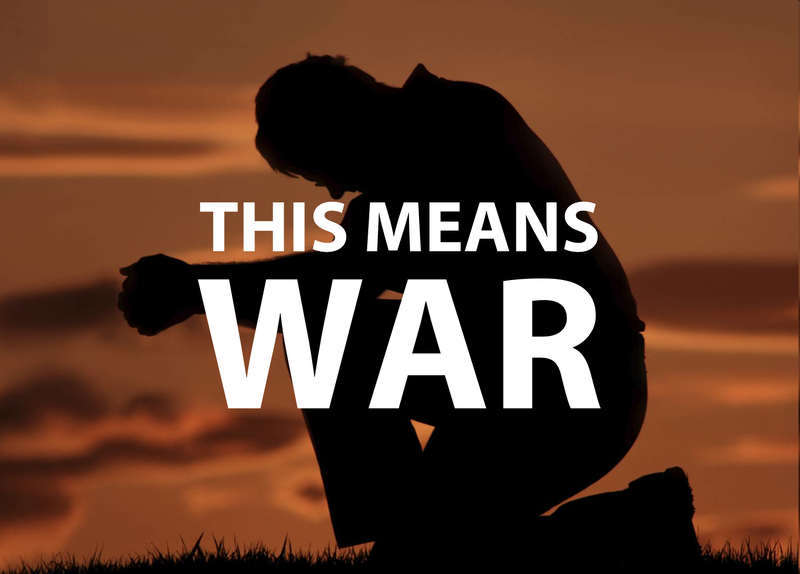 Christians need to get engaged in the spiritual war that's being waged against us. We need to quit praying like civilians and start praying like soldiers, every day. This is what the book of Psalms is for. It's a soldier's (and a shepherd's) prayer book.